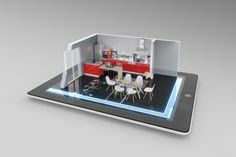 V3D Immo is one of the leading French companies in the field of 3-D virtual models, focusing on helping property developers, architects and family home builders. 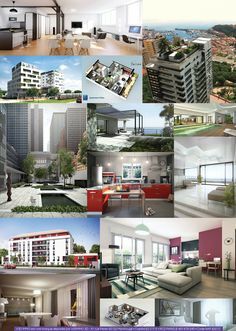 In the last 5 years, over 300 projects have been completed, in a constant concern for quality and customer satisfaction. 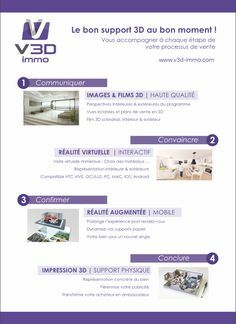 V3D Immo is one of the five business units and brands of VISIMMO 3D. Major player in the publishing of interactive digital solutions for marketing and sales, VISIMMO 3D was named an «Innovating Company» in 2011 by the System@tic cluster and was winner of the PM’up 2012 contest organised by the Île-de-France region. VISIMMO 3D is now the leading provider of interactive 3-D virtual events and exhibitions in France.